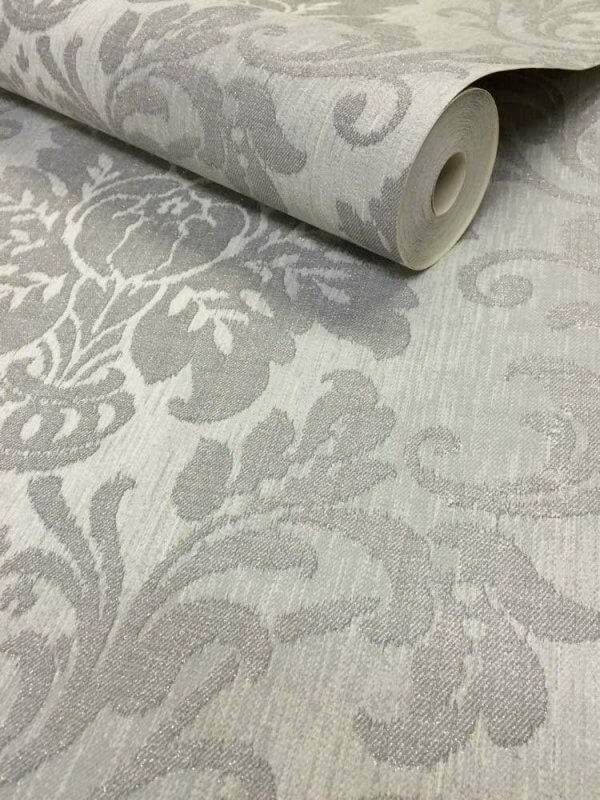 Damask patterned papers are a timeless classic that will be around for years to come! 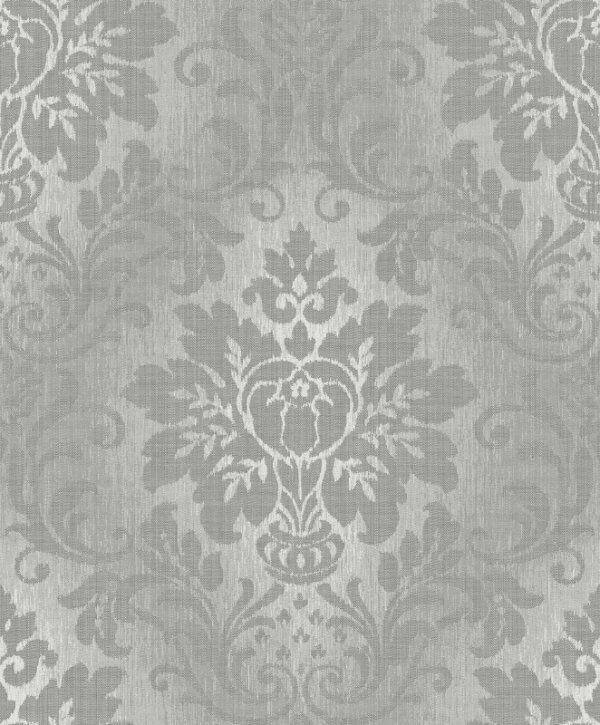 This fantastic silver damask from Ideco has a stunning textured background in different grey tones to create a beautiful effect on your wall. The damask pattern in a silver colour is accentuated with silver glitter which reflect the light beautifully really helping to capture the full design of the paper. Ideal as a feature wall this paper really will create a luxurious finish in any room! Please note the room set image displays the cream colourway of this wallpaper.